Although I had a laptop set up with everything using the build-gnuradio script plus manual installs of applications, I also needed to have it up and running on a second laptop. This time around I used the more up to date method of installation provided by the GNURadio developers, the PyBOMBS application. As described, this will build GNURadio, dependencies and out of tree projects. It also lets you keep on top of updates for projects so should be good going forward. The install of GNURadio worked without a hitch as did installing the hackrf tools with “./pybombs install hackrf”. 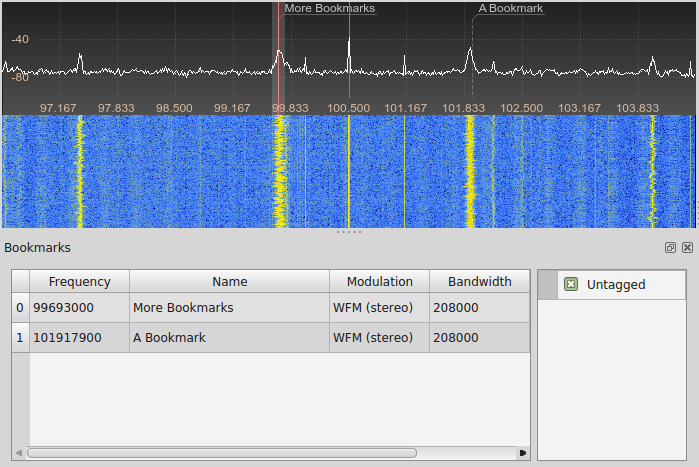 And as in the solution there, removing BOOST_SUFFIX=-mt from recipes/gqrx.lwr allowed it to compile.